It's the Mooncake season again a.k.a. Mid Autumn Festival and based on the mooncakes that i've been sampling, i think the trend this year is... YAM. We aren't strangers to this gorgeous purple pink root in our desserts and i love how it's presented in the flaky filo pastry! Also, Mao Shan Wang Durian is still a hot favorite in the snowskin collection of many restaurants. 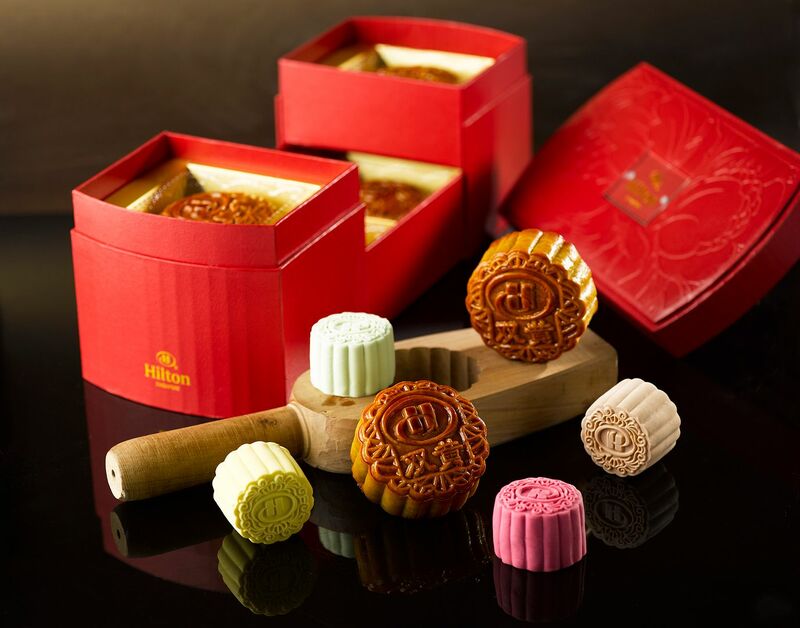 With seven delicately handcrafted mooncakes, you will be spoilt for choice by Hai Tien Lo at Pan Pacific Singapore. 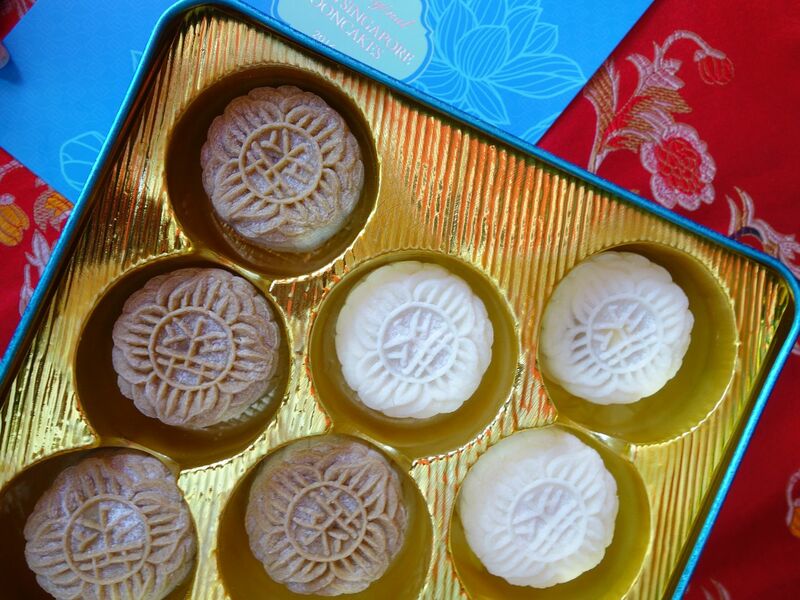 Their highly popular Mao Shan Wang Durian Snowskin Mooncake is also making a comeback this year! Well i'm certainly going Japanese with the Green Tea Paste with Single Yolk in a golden brown pastry! Also, how can anyone resist the Black Sesame with Single Yolk that has the most amazing fragrance. 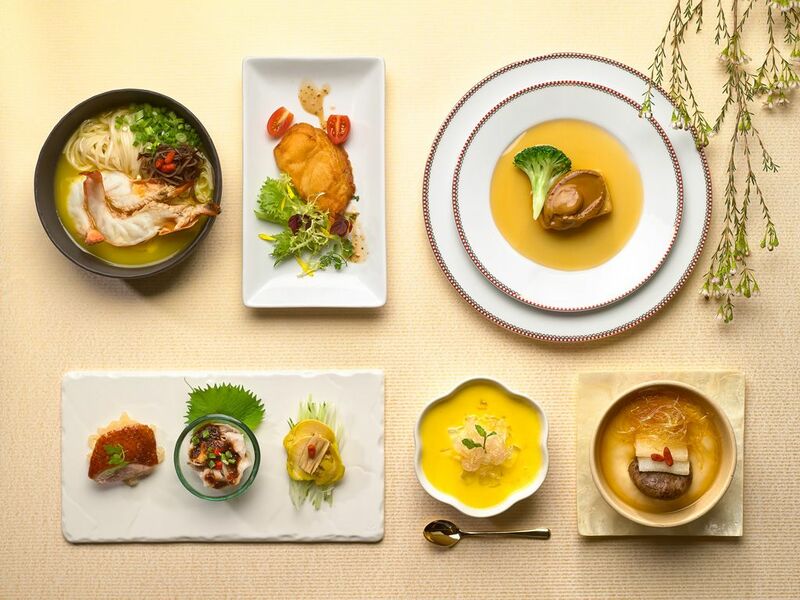 Pre order these now to be the first to get your hands on these golden parcels, available from 15 Aug to 15 Sep.
Hai Tien Lo is also doing a specially crafted Six-Course Mid Autumn Reunion Set Menu available for dine in in the same period! Might as well gather the whole clan and celebrate! If you're game for some really funky flavors, pop over to Hilton Singapore for their new flavors homemade mini snowskin mooncakes which include American Cheesecake, Popping Candy, Japanese Muscat White Grape and Baileys. These are available from 8 Aug to 15 Sep. Well i'm not that adventurous so i think i'll stick to Baileys maybe. You can expect the same level of finesse in Li Bai's mooncakes as they do their dimsum.With 5 new mooncake creations handcrafted by Chef Chung Yiu Ming, you will be spoilt for choice. 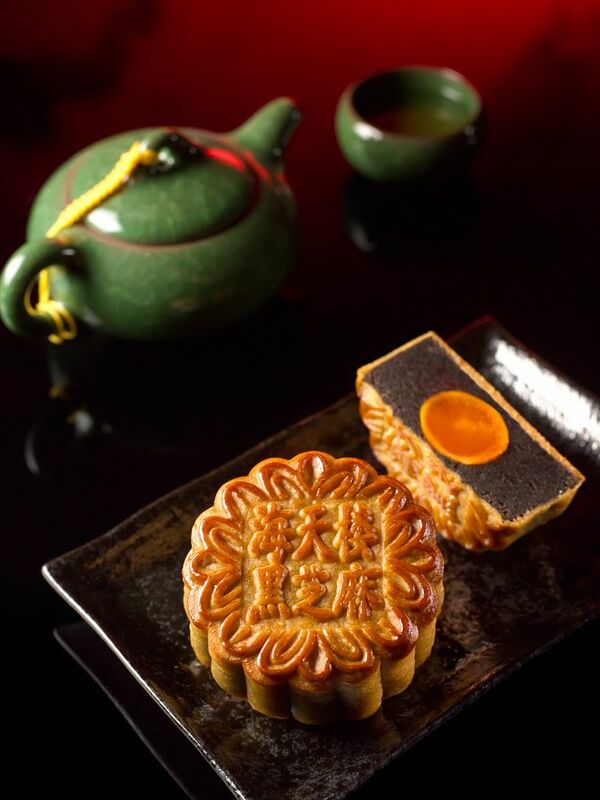 But we say, don't miss the Yam Paste Mooncake with Single Yolk in Flaky Pastry. Just look at that gorgeous layers. 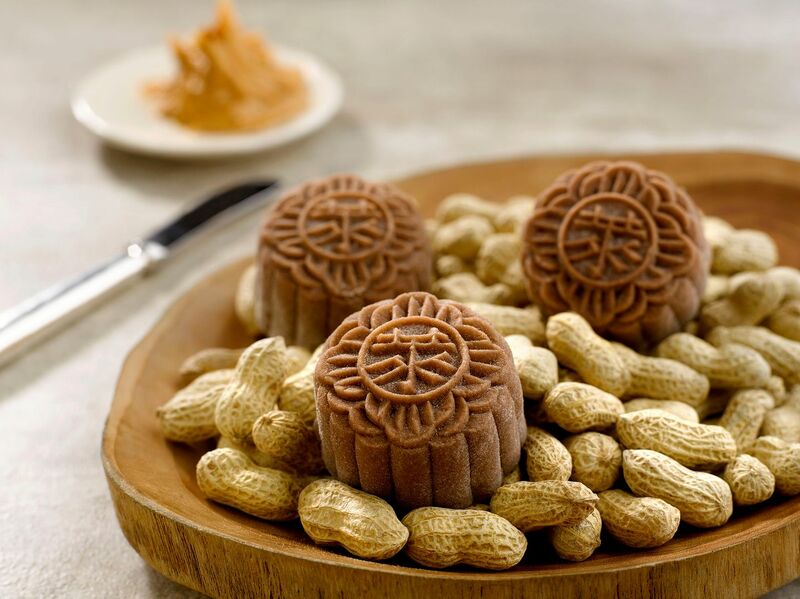 The Mixed Nuts Mooncake with Li Bai's signature X.O. sauce is also a new flavor in the baked serious. Expect a zing from the premium Japanese scallop sauce! New flavors in the Snowskin White Lotus paste collection include Lychee Martini Truffle, Green Tea White Lotus with Tiramisu Truffle, and Chrysanthemum Vodka Truffle. Snowskin are priced at $58/8pcs, and baked ones from $65. 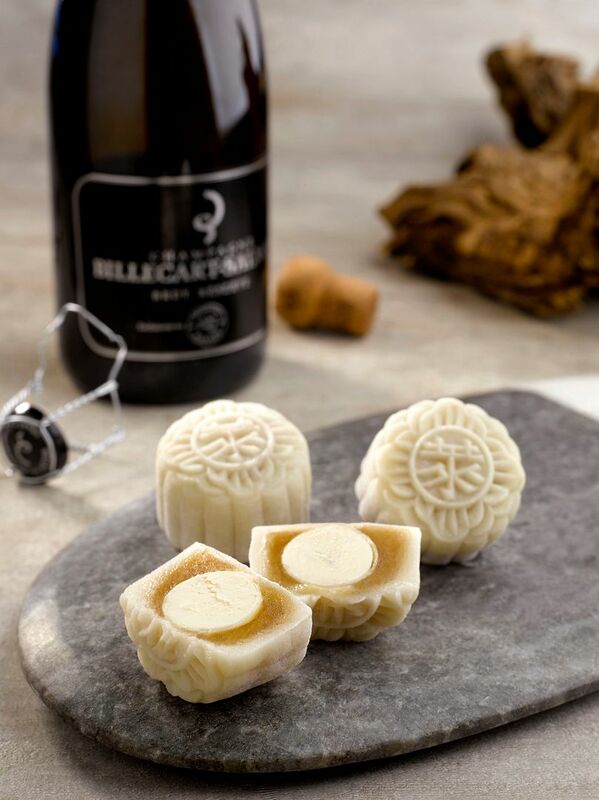 Li Bai mooncakes are available from 15 Aug - 15 Sep.
Raffles Mooncakes are the go to for the signature Champagne Truffle and Ganache Snowskin. Plus i cannot resist boxes that remind me of Tiffany & Co. (don't ask me why). Smooth white chocolate ganache with exquisite bubbly (Billecarte-Salmon my love). Also returning this year are popular favorites like Earl Grey Tea and Chocolate Pearl Truffle Snowskin, Raffles Cognac Truffle Snowskin, and Dark Chocolate Crunchy Pearl Snowskin. A new addition is the Peanut Butter Milk Chocolate Feuilletine Snowskin with a crunchy peanut butter core. I could have more of this one! Online purchases are available at rafflesmooncake.com from now till 12 Sep. Raffles Hotel's mooncake festival booth will be available daily at the North Bridge Road Atrium in the hotel till 15 Sep, from 9am to 8.30pm. A box of 4/8 will cost you $70/72 nett. Hello Mao Shan Wang Snowskin ($68/box) plus other fresh flavours such as yuzu citrus and sakura peach, along with creamy avocado and decadent sea salt caramel. Sadly, the new flavors don't work that well. I preferred the baked mooncakes better and there are interesting ones like Baked Maple Osmanthus-Glazed Shanghai Mooncake with Single Yolk. Other traditional ones fared well too, like the Baked Mooncake with Assorted Nuts, Baked Mooncake with Macadamia Nuts and Low Sugar White Lotus and Baked Mooncake with Single Yolk and Lotus Paste. They make for great gifts especially when presented in a beautiful latticed treasure chest inspired by the newly refurbished Lobby Lounge. 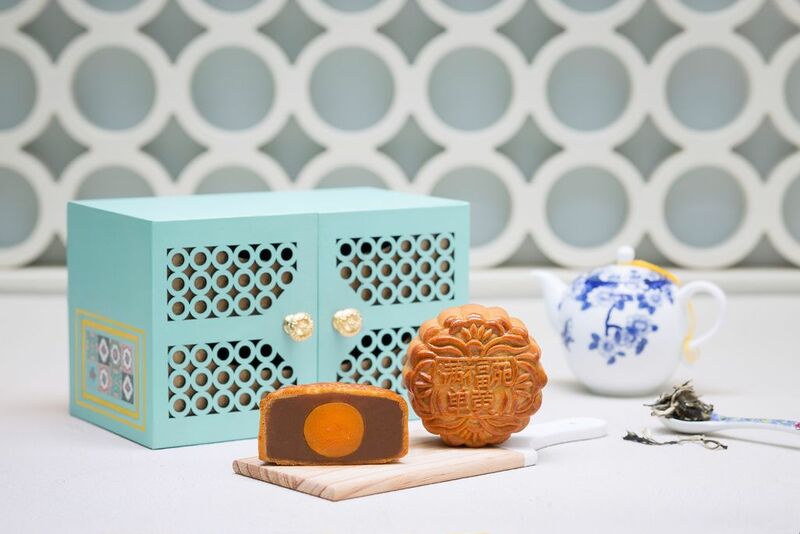 Man Fu Yuan's mooncakes are available from now till 15 Sep at Tea Hut, entrance of InterContinental Singapore from Bugis Junction and at 9 other shopping centres. Early bird savings of 35 %(by 31 Jul) and 20% (before 15 Sep). Each box of 4 is between $62- 68. Well the local restaurants aren't also hopping onto the mooncake wagon. Here are some that are worth checking out! Chef Pang is a master of all flowy desserts and he has created three truffle-centred mooncakes that can be eaten chilled with a creamy centre or warm for smooth, oozing action. 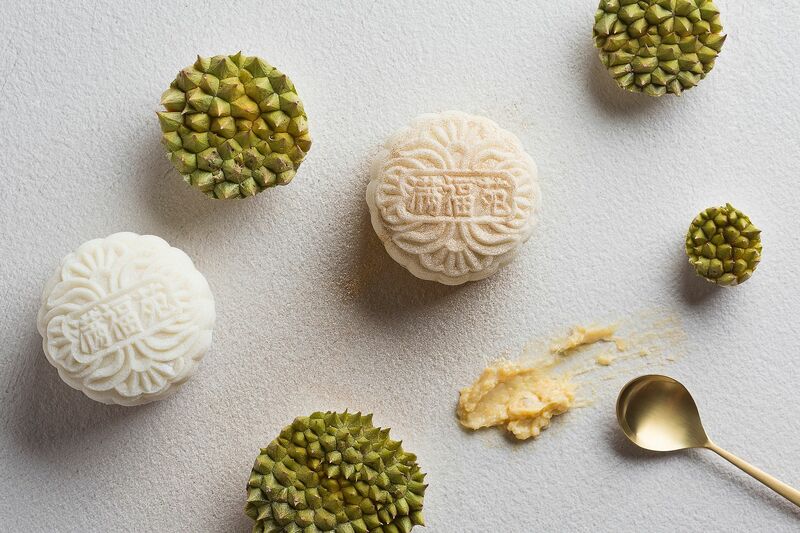 The new snow skin mooncakes come in combinations: Low Sugar White Lotus Paste with Salted Egg Truffle, Chestnut Lotus Paste with White Chocolate Matcha Truffle, and Low Sugar White Lotus Paste with Dark Chocolate Truffle. 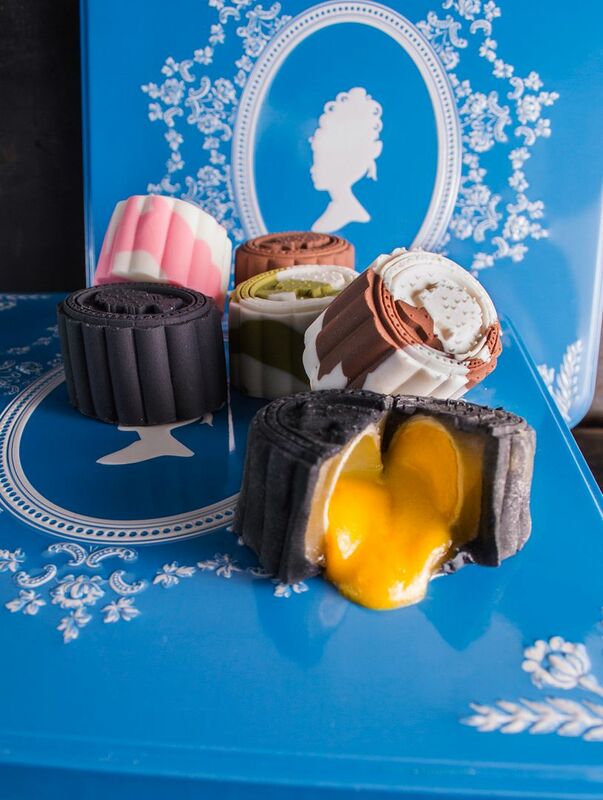 They will be sold in a box of eight at $54.50 which will contain two of each truffle mooncake, one Goji Berry mooncake and one Dark Chocolate mooncake (both of which are long popular Antoinette mooncake favourites). Chef Pang’s original creation, the Macaron Lunar, also makes a comeback in this year’s collection. Made with premium low sugar white lotus paste encasing a rich salted egg yolk, the Macaron Lunar is an excellent accompaniment to moon-viewing gatherings for a quick bite. These delicious bites will be available from 1 Aug.
Head over to Imperial Treasures for more yam goodness. 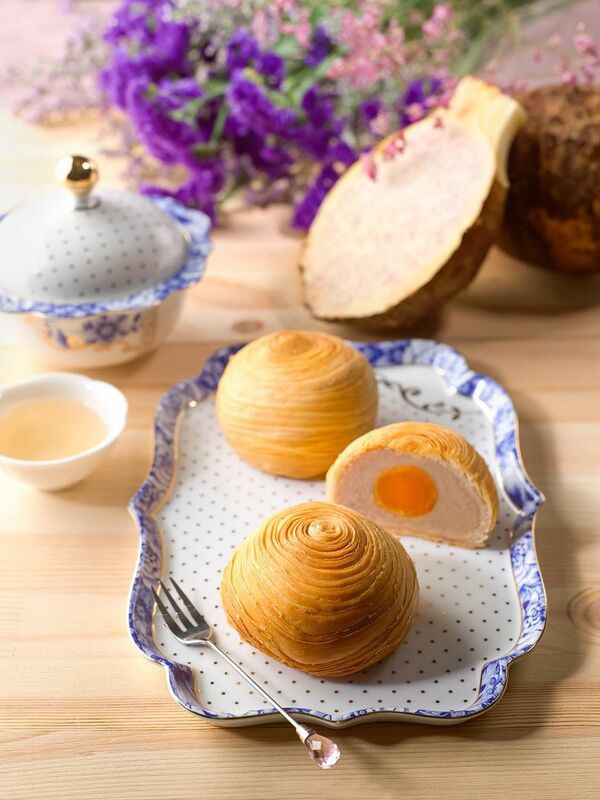 Creamy lavender-coloured taro puree and a single golden yolk, cocooned within a fine feathery puff of airy pleats, a pastry so light that it is almost like biting into a heavenly cloud. Plus, they also have a Durian Snowskin mooncake! 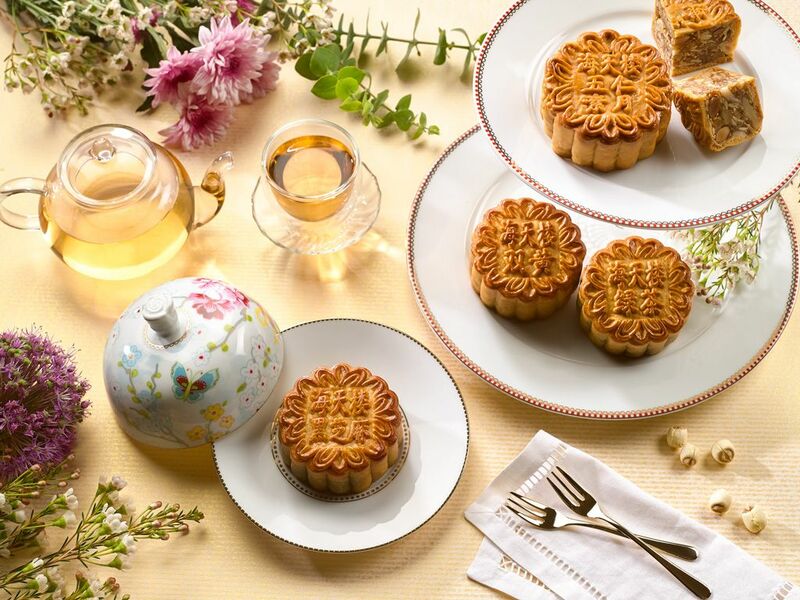 You can preorder the Imperial Treasure mooncakes https://estore.imperialtreasure.com/ and enjoy an early bird discount of 20% from 1 to 31 July 2016 and 15% discount from 1 August to 15 September 2016. Prices from $48/box. I LOVE THYE MOH CHAN for their delicious and very accessible tau sar piahs (now that they have a store at Paragon as well)! Teochew mooncakes are what you'd get from this 70yo brand. Their mooncakes are really giant Tau Sar Piahs (EVEN BETTER). Salty, Sweet, Double Delight (with red bean and winter melon paste). 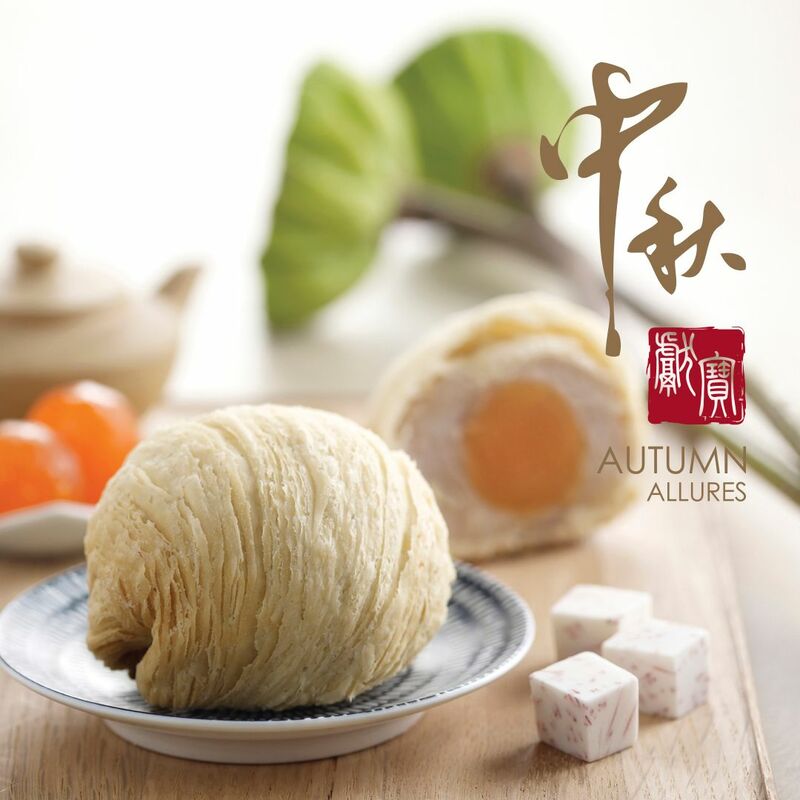 Exclusively available during the Mid-Autumn Festival are new relished favourites such as the Mao Shan Wang Durian ($39.80/4pcs) and Teochew Yam with Salted Egg Medium (4pcs/box) $33.80 flavours, with limited quantities produced daily and only available for purchasing at the stores. My absolute favorite Tau Sar Piah is now zhng-ed with Salted Egg Yolk! Presenting the Yuan Yang With Salted Egg Yolk Mooncake ($28.80/4pcs) which has a generous filling of spicy pork floss, salted egg yolk, and savoury mung bean paste with a dash of sesame! 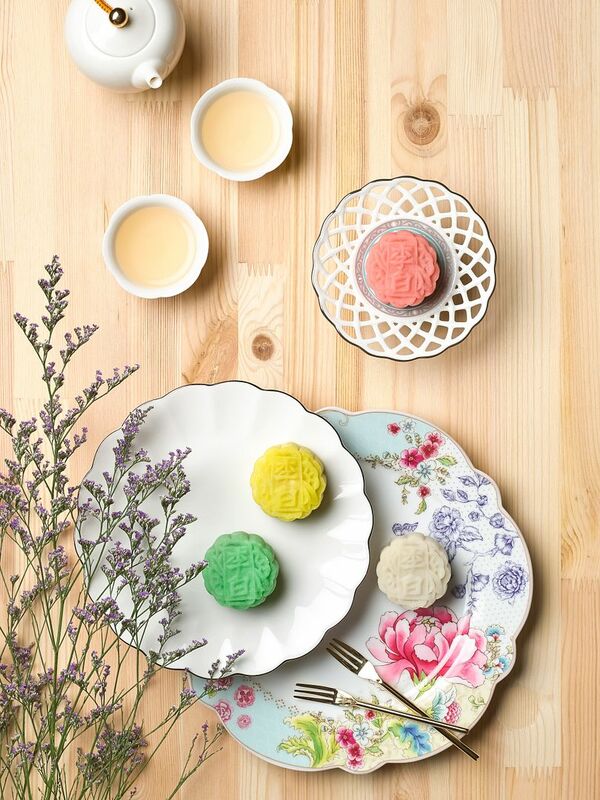 Receive 10% discount and $2 gift voucher with every box of mooncakes purchased. 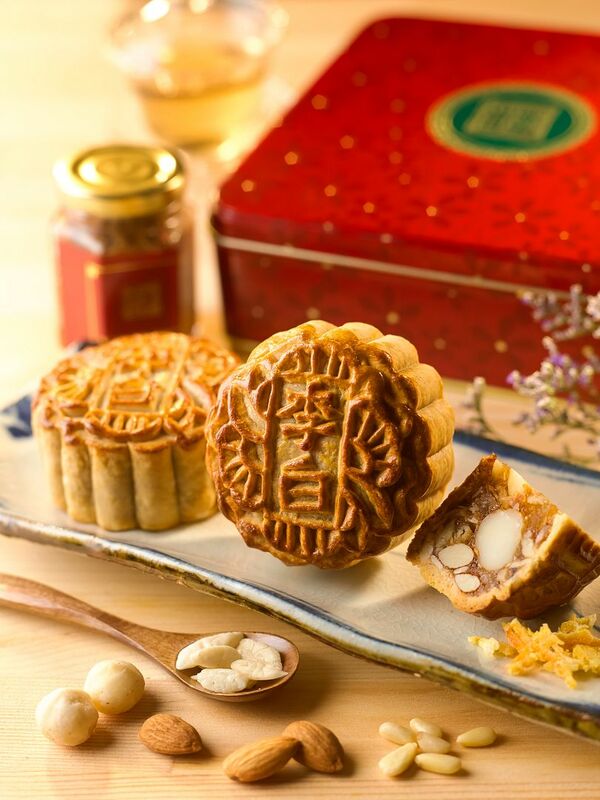 Thye Moh Chan stores located at Chinatown Point and Paragon and the mooncakes are available from 3 Aug to 15 Sep.
Do share with us more of your favorite mooncake brands!